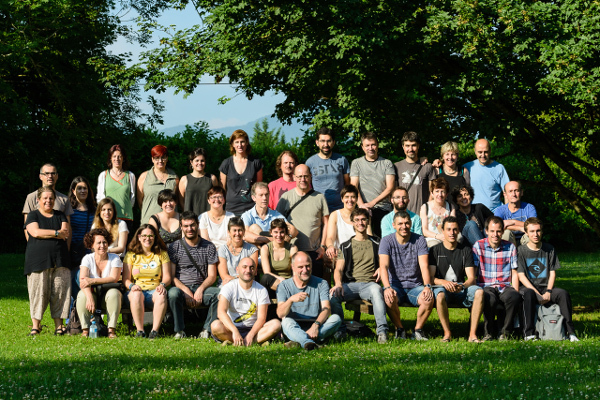 Codefest summer­lab aims to revitalise resource ­scarce language (Donostia, July 4-8) « Ixa Group. Language Technology. Donostia / San Sebastian 2016 European Capital of Culture represents an enormous opportunity to turn the focus on culture and dialogue as the roads towards improved coexistence. Thus, Donostia / San Sebastian aims to become a benchmark in the sphere of creative processes and culture. Inside the programme, we are organising Codefest: Coding for Language Communities event, that will take place from 4th to 8th of July 2016 in Donostia / San Sebastián. This one-week long hands-on course will give participants the opportunity to become acquainted with the latest language-based technologies and to develop different apps based on them. Partakers will work in a multidisciplinary coding bee that will team up linguists, software-engineers and students. Registration to attend Codefest is now open. You can register online and you will receive information about the payment procedure. If you are staying in Donostia – San Sebastian we will also collect information to arrange your accommodation. • Basic registration (5 day participation, official dinner, welcome bag): 40€. • Full registration (5 day participation, accommodation, 6 nights in a double room, official dinner, welcome bag): 260€. • Full + Wikipedia edit a thon ( 5 day Codefest participation, 1 day Wikipedia edit a thon, accommodation, 7 nights in a double room, official dinner, welcome bag): 260€.